Extreme application packaging tape is designed for heavyweight and overseas/export shipping applications. 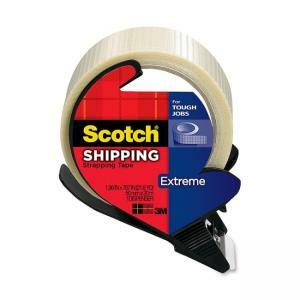 Tape is reinforced with continuous glass yarn in both horizontal and vertical direction for added strength. Backing is abrasion-resistant, moisture-resistant and scuff-resistant. Packaging tape also meets postal regulations.